A WiFi Network has now become an inevitable part of our techy life — for we don’t like to mess up with wires much and mobile data drains your Smartphone battery like hell! If we take the case of an organization, the whole chain for internet access is done through WiFi networks. It is because of these reasons you need to secure your WiFi network for a variety of advantages: your network won’t be used by others, your bandwidth is solely yours and it’s a big-enough layer of protection for your privacy! 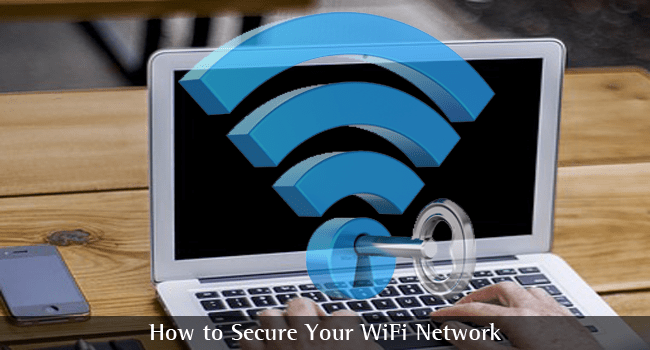 In this post, however, we have some tips you can use to secure WiFi network. We hope it helps you to create a far more secure and reliable home or office network. Unless you trust your neighbors and strangers that much, you should never leave the network in the open state. When a WiFi network is open, anyone can access it; there will be no prompt for a password or something. Therefore, you will not know if someone has used your network to commit a legal offence or something and the end of it, you are going to get punished. So, we repeat, even if you trust who is around you, never make your WiFi network accessible to the public. Many times you’ll notice the quality of your signal strength of your WiFi bouncing around as you walk to different parts of your house. At times – you might lose the connection altogether, or have it spotty – affecting work or pleasure activities when the internet is continually skipping. Using wi-fi range extenders will allow you to have a strong signal throughout the house – even into your garage/attic, without any disruptions. Multiple people in the house will be able to make use of the internet without affecting each others connection latency. Well, once you have decided not to leave it open, you have different kinds of network encryption standards to select from. There is WEP, WPA, and WPA2 etc, which range in terms of the protection offered. The third one offers two sub-divisions — one with TKIP and another with AES, both offer unique modes of encryption using 128-bit keys. So, it needs to be noted that WPA2 is the most secure network encryption standard you can choose. What happens in most cases is that people tend to choose WEP Encryption, which of course asks a password. 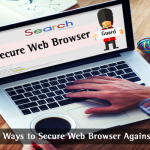 But, its strength is comparatively lower and can be compromised using BackTrack or that kind of tools available. So, we say it again, you should use the best encryption when you set up the network. If you’re using a device that’s manufactured before 2006, there might be some compatibility issues though. By the way, even when you use WPA2 encryption, it’s essential to use a complex-enough, non-guessable password that you — only you — could remember. Well, in the business scenario, you can create a different network for guests if you want to give them net access. It’s the better thing to do, you know. The problem of having a guessable SSID and router credentials is that your network security and data are subjected to a theft along with bandwidth. So, instead of using the default router credentials combo of router — details of which are available in web — you should change it to a complex one. Another thing you can do to secure WiFi Network of yours is to choose a not-easily-identifiable SSID (which is a name of the wireless network). There are even some options to hide the SSID from results, but the better one is to choose a unique one. Though it may seem silly, this change can have a big impact on the security of the network. This is one of the most effective methods of securing a WiFi network, by limiting the devices that can be connected to the network. As you know, each device has an MAC address — your computer, Smartphone, tablet PC or any other device that can be connected to the internet. In the router dashboard, you can add the MAC address of the device you’d like to get connected. This method is effective when you are creating a wireless network for your home or that kind of small purposes. If you are a person who changes devices quite frequently, this is going to be a hassle. Well, let us tell that first: this is a bit of nerdy thing to do! But if you take the courage and effort to do that, it’s going to give you an extremely secure WiFi network. There are two options available — you can either upgrade to official upgradable firmware offered by your router manufacturer or you can choose to go with some third-party firmware such as Tomato or DD-WRT. The most important factor about this upgrade is that you get better performance as we come to the case of network strength; you also get some customization options on the router, which is a good thing. For instance, if you are using a third-party firmware, you will be able to adjust the output of your router, such as to limit the range to your bedroom or hall. Having all these said, it’s a fact that no wireless network is perfectly secure! Nevertheless, following the steps we’ve mentioned above will have an awesome impact on WiFi security settings, we bet. I have always used the MAC filtering option to secure my WiFi from others. Updating router firmware is the first time I have heard of. How we can do so? I have a TP_LINK router. There might be some slight changes in the steps depending upon the series of the router you are using. I think these were the best tips to secure your WiFi. Thanks bro. Really appreciated. Beginners like me understand the difference between WEP and WPA. But for some reason, I always prefer 5 word password over 13 words. Hence I opt for less secure. I think these were the best tips to secure your WiFi. Thanks a lot. Enable Network Encryption. In order to prevent other computers in the area from using your internet connection, you need to encrypt your wireless signals. There are several encryption methods for wireless settings, including WEP, WPA (WPA-Personal), and WPA2. Hi Abhijith N Arjunan, That’s Great Knowledge About Secure Wifi Network. In this article you have explained very well, basically I get new ideas on your blog. Thank You So Much for sharing it. Nice information. Planning to upgrade my firmware, hope to see detailed tuts on how to do it correctly. These are all one of the best methods that I have ever read. Thanks for sharing useful tips to secure my WiFi. These tips save my lots of time. Mate, thanks for share this useful information. Now I have secured my wifi connection.